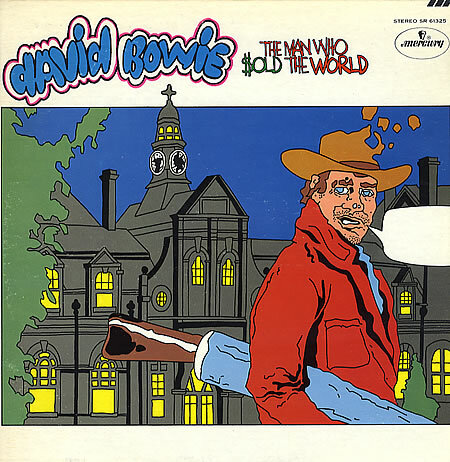 The Man Who Sold the World is the third studio album by David Bowie, originally released on Mercury Records in November 1970 in the US, and in April 1971 in the UK. The album was Bowie’s first with the nucleus of what would become the Spiders from Mars, the backing band made famous by The Rise and Fall of Ziggy Stardust and the Spiders from Mars in 1972. Though author David Buckley has described Bowie’s previous record David Bowie (Space Oddity) as “the first Bowie album proper”, NME critics Roy Carr and Charles Shaar Murray have said of The Man Who Sold the World, “this is where the story really starts”. 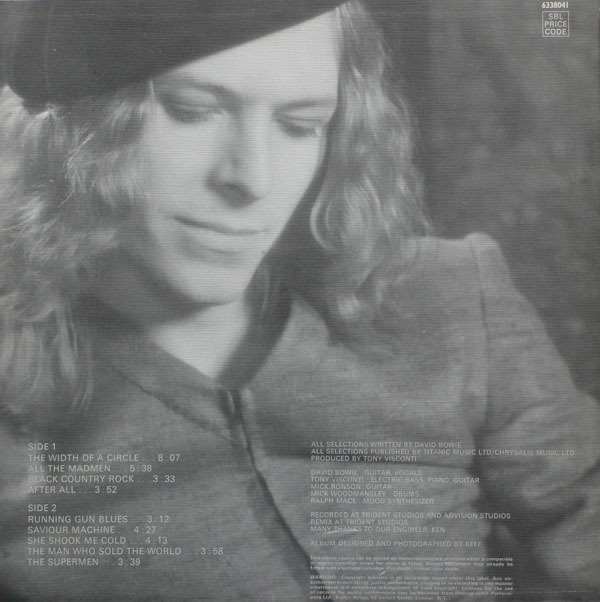 Departing from the folk music of Bowie’s debut album, The Man Who Sold the World is a hard rock and heavy metal album. It has been claimed that this album’s release marks the birth of glam rock. Much of the album had a distinct heavy metal edge that distinguishes it from Bowie’s other releases, and has been compared to contemporary acts such as Led Zeppelin and Black Sabbath. The record also provided some unusual musical detours, such as the title track’s use of Latin rhythms to hold the melody. The sonic heaviness of the album was matched by the subject matter, which included insanity (All the Madmen), gun-toting assassins and Vietnam War commentary (Running Gun Blues), an omniscient computer (Saviour Machine), and Lovecraftian Elder Gods (The Supermen). The song She Shook Me Cold was an explanation of a heterosexual encounter. The album has also been seen as reflecting the influence of such figures as Aleister Crowley, Franz Kafka and Friedrich Nietzsche. 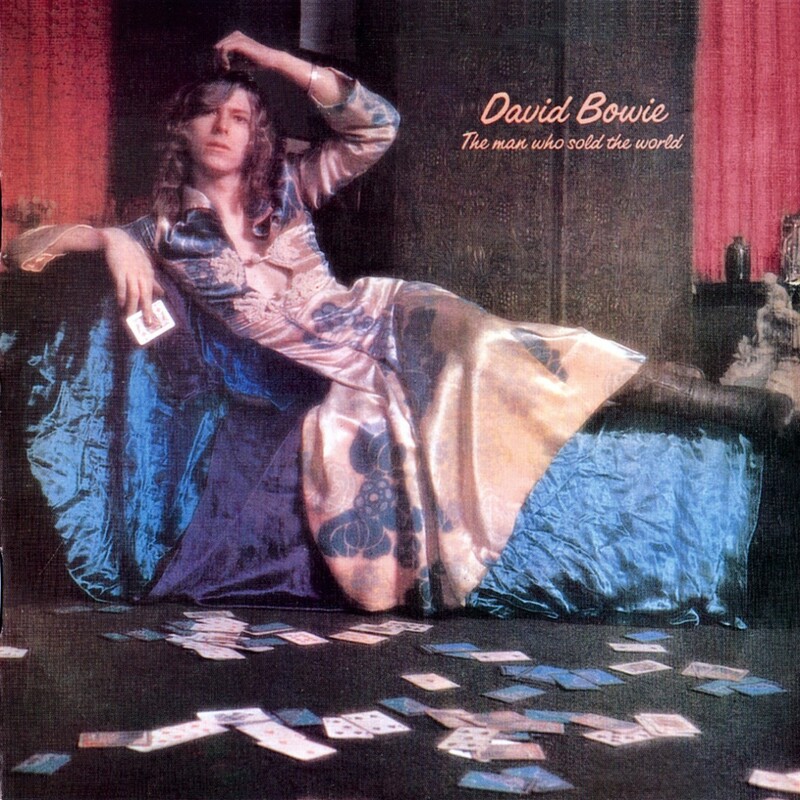 The first UK cover, on which Bowie is seen reclining in a Mr Fish “man’s dress”, was an early indication of his interest in exploiting his androgynous appearance. The dress was designed by British fashion designer Michael Fish, and Bowie also used it in February 1971 on his first promotional tour to the United States, where he wore it during interviews despite the fact that the Americans had no knowledge of the as yet unreleased UK cover. It has been said that his “bleached blond locks, falling below shoulder level”, were inspired by a Pre-Raphaelite painting by Dante Gabriel Rossetti. In the summer of 1955 Andy Warhol‘s career as a commercial artist took a new turn when Gene Moore hired him to provide artwork for the windows of the Bonwit Teller department store. Moore had arrived in New York in 1935, hoping to become a fine artist, and had ended up a window dresser. One of the jobs Moore took to support himself in New York was making paper mache flowers for the Bob Smith Display Company. When one of Smith’s customers, Jim Buckley, was made the display director of I. Miller Shoes in approximately 1937, he hired Moore to be his assistant. 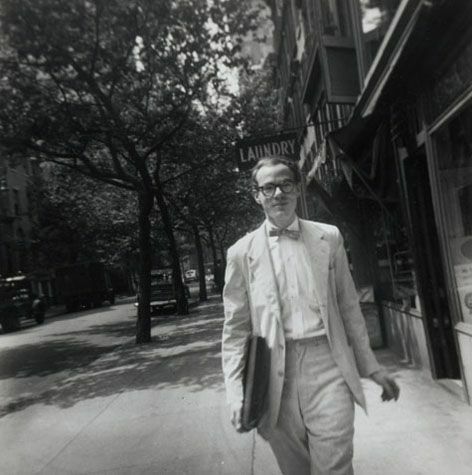 By the following year, Moore was also doing window dressing for Bergdorf Goodman’s and Delman’s department stores. In 1945 he was appointed the display director for Bonwit Teller. Moore often modeled his mannequins on Hollywood stars like Vivien Leigh and Audrey Hepburn, and was responsible for introducing the belly button on mannequins. The cockroach story became part of Warhol’s legend. It was repeated in The Philosophy of Andy Warhol (From A to B and Back Again). However, according to the painter Philip Pearlstein, the incident had actually happened to him, not to Warhol. Warhol wasn’t the only artist working for Moore. He was also using Robert Rauschenberg and Jasper Johns, who were window dressing under the combined pseudonym, Matson Jones. According to Moore, James Rosenquist, Andy Warhol, Robert Rauschenberg and Jasper Johns all worked with him during the same period. Rauschenberg and Johns continued to do windows for him when, in July 1956, Moore also started doing windows for Tiffany’s in addition to his continued involvement with Bonwit Teller.